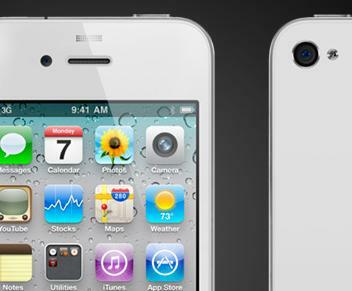 In a statement today Apple blamed production troubles for delays in the release of the white iPhone 4. The white models will not be for sale until the second half of July. The manufacture woes did not impact the production of the black models. While this was expected, the reason for the delay was not previously known. CUPERTINO, Calif., June 23 /PRNewswire-FirstCall/ — White models of Apple’s new iPhone® 4 have proven more challenging to manufacture than expected, and as a result they will not be available until the second half of July. The availability of the more popular iPhone 4 black models is not affected.